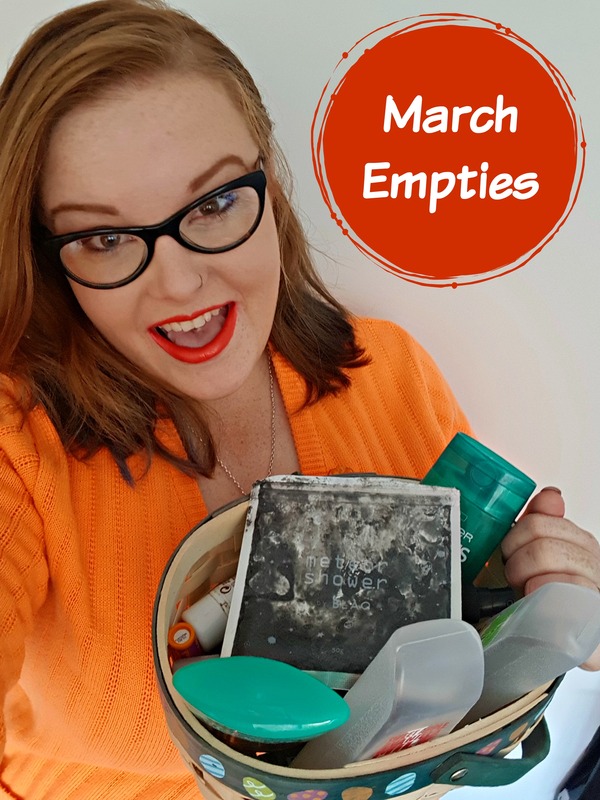 I, unfortunately, didn’t get a chance to do my February empties as not only did I not have much to show, but March was just so busy from the very beginning that I had no chance. Since I didn’t have many empties last month, I ended up using tons of stuff up this month and I am super excited to share some of the products with you guys. I feel so proud of myself for actually finishing a lip balm since most of the time I tend to lose them before I fully finish them up. I really do enjoy this lip balm and I find it to be very moisturising, however, I don’t feel like the taste is as good as Lip Smackers. If you don’t like a super sweet and yummy lip balm then these would suit you a bit better. I have definitely already repurchased some more and will continue to. I believe I got this in my January Bellabox and gave it a go. Honestly, I wasn’t a huge fan of this product. This product obviously has charcoal in it, which I am used to using in my facial scrubs, however, this body scrub left my skin with a black tint, which I found a little annoying. I also found that even though this was only a sample size, as it sat in my shower, it started to go a bit gross towards the end; I found this weird since it was in the stream of the shower and since I had less product than the full size, I’m wondering how fast the full size goes bad. I did like the exfoliation though and I also loved the glitter. I didn’t hate this product, I just didn’t love it. This mascara has definitely found a place in my heart as one of my favourite mascaras. I am a believer that most mascaras are very similar and I still agree with that; however, I do find that this mascara makes my lashes very full and long which is great. This product is very affordable and didn’t flake or smudge throughout the day. I really enjoyed wearing this and will definitely be repurchasing. I love to wear BB creams to work when I want a light coverage, but just need a bit of help evening out my skin ton. I find that all BB creams I have used so far have all been much the muchness and so, therefore, this product didn’t stand out, but nor did it disappoint. This cream gives a light coverage, but lasts a decent amount of time with setting powder and is just really nice to use. Since most BB creams I have tried are so similar, I probably would repurchase if this product was on sale. I have heard great things about Make-up Design and how affordable it was. This product is only available at Woolworths, but I really wanted to give it a go. I really did notice a difference in the durability of my makeup and also loved how it set everything down and made my powders look less cakey. I believe this bottle was only about $7 and lasted me nearly two months of using it every day. I would absolutely repurchase. This is probably one of my favourite powders and I normally use this to set my face, but also sometimes on its own. I really enjoy the fact that this powder has a small amount of colour which adds a bit of coverage over makeup, but not too much. This powder also does super well on its own. This is a facial wash that I have been using for a while now and I really love it. I believe this is the sister product to the 3 in 1 charcoal scrub/wash/mask that Garnier has and I love using that as a mask when my skin isn’t doing too well. I find this to be a very good scrub/wash and it has really helped with getting rid of some of the bumps in my skin. I have mixed feelings about this concealer. I did find it to be a very good concealer and it helped brighten my eyes, hide my under eye bags and cover minor breakouts; however, I found this concealer to be pretty standard. I have tried a lot of concealers and this product definitely did a good job, but it just didn’t stand out to me. I also wasn’t a huge fan of the packaging either and found that I often squeezed out too much. However, I do believe that this is the old packaging and that it now comes with a wand, which I would much prefer. I feel as though this month, I really had a lot of empties that I really enjoy. I am sorry that this post is a little late, but things have been so hectic. I love sharing my empties and I am pretty happy that there wasn’t too much that I didn’t like. I had a couple of shampoo/conditioner and body wash empties in my bin as well, but since I had so many beauty/makeup empties, I didn’t worry too much about sharing more basic products. I hope you guys have a great April.